Meyer Seewald was born and raised in the Chabad community of Crown Heights, Brooklyn. Two experiences of sexual abuse during Meyer’s youth and his best friend Benny passing away in his arms at age 16 shaped his adult life and determined his life's mission. In 2011, Meyer determined that Benny’s father was using the program for at-risk youth that he had created in memory of his son to groom and molest teens. As Meyer began to investigate, he discovered accusations of molestation by this man going back almost two decades in multiple countries. Cover-ups by the community leadership reached back just as long. After this predator was arrested, Meyer set up a website to expose him and warn the community. Within a short time, hundreds of reports of abuse in the Jewish community began flooding in to the website inbox from around the world, asking Meyer to help them expose their abusers. Jewish Community Watch slowly grew from Meyer and a few friends working out of a bedroom to an international organization with offices in three locations and with departments dedicated to raising awareness, victim’s services, and investigations. For 20 years, Shulamit Morris worked in Aboriginal communities in Australia, where she initiated and advocated for women’s and children’s primary health programs through social justice and empowerment initiatives, in particular addressing community health issues of child sexual abuse, family violence and substance use. After moving to the U.S., she continued working in Child Protection agencies, including as a Senior Practitioner for child protection investigations with children and youth within the legislative framework and principles. During her time working as a general manager of a shul, she reviewed and implemented policies to improve child safety. Shulamit now lives with her husband in Florida and holds a Bachelors in Adult and Community Education, and a Masters in Public Health. She obtained a Graduate Certificate in Child and Family Studies, and completed comprehensive child protection training including specialized training in forensic interviewing and sexual exploitation of children. Rachel was inspired to become a therapist after working with at risk youth and their families in Beersheba, Israel, including running parenting groups and assessing students for abuse. After moving back to the US, Rachel graduated from Florida International University with a Bachelor’s Degree in Criminology and a Master’s Degree of Social Work, with a focus on clinical intervention. Before joining JCW, Rachel worked in Jewish Adoption and Foster Care Options (JAFCO) and the Florida Department of Children and Families. While Rachel worked for JAFCO, she trained in play therapy with abused and neglected children and assisted with the Independent Living Program for children aging out of foster care. Rachel also received training from the Federal Government while working for the Veterans Medical Administration. 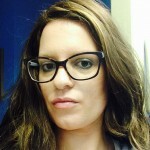 During her time at the VA, Rachel worked extensively with clients who had psychiatric diagnosis, substance use issues and complex trauma histories. In addition, she was one of the first interns in the US to participate in the historical establishment of the LBGTQ mental health clinic that serviced military personnel in active duty as well as those with previous military service. Her work in the clinic included administering gender reassignment surgery assessments, as well as trauma therapy and groups to support the needs of the population. Rachel then brought her diverse skill set to Jewish Community Watch and has served as an investigative associate and victim’s advocate, formerly in the Miami office and now in Brooklyn. Chana’s passion for helping people achieve mental health dates back to her years in her native country, Israel. She was drawn to working with adolescents struggling with addictions and other at-risk behaviors, working as a counselor at a therapeutic high school, a mentor for a Teen Help Hotline, and then as a head counselor at a homeless shelter. Her interest in this work led her to become a Credentialed Alcoholism and Substance Abuse Counselor (CASAC), a Certified Addiction Recovery Coach (CCAR, RCA), and a Certified Life Coach. After her move to New York, Chana worked for Safe Foundation in Brooklyn, providing addiction awareness seminars to high school students and counseling teens via outpatient programs. Chana continued her education, earning a Bachelor of Science from Excelsior College. She is pursuing a Master’s Degree in Marriage and Family Therapy at Touro University Worldwide. 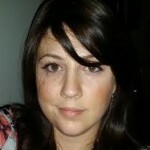 Chana has joined the JCW team as an intake and assessment specialist. 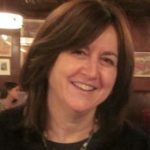 Her experience supporting some of our community’s most vulnerable members and her exposure to many different Jewish communities have given her a sensitivity that makes her uniquely qualified for this role. As the “first responder” in JCW, and oftentimes the first person a survivor may share their story with, Chana feels privileged to have the opportunity to help assess our clients’ needs, link them to appropriate services and resources, and be the first stop in JCW in their journey to healing. Shoshanah grew up in Chicago where she attended Ida Crown Hebrew Academy high school. She studied and mentored at Neve Yerushalayim Seminary in Israel and then returned to Chicago attend the Teacher’s Institute where she studied Business and Judaic studies. 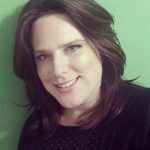 Shoshanah is a Licensed Marriage and Family Therapist in the state of Florida as well as a Nationally Certified Counselor who carries a Master’s Degree from Barry University in Marriage and Family/Mental Health Counseling. She is a trained Trauma Specialist in Somatic Intervention and is working towards her certification in EMDR therapy. 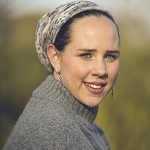 Shoshanah has experience working with a wide age range of clients in a variety of settings and religious backgrounds. She has experience leading support, social and leadership groups and working with parents regarding parenting skills, abuse, self-esteem, and family issues. Shoshanah works for JCW as a victim’s service case manager, addressing client’s therapeutic and financial needs while guiding and supporting them on their journey to recovery and healthy relationships. She lives with her husband and three children in Miami. 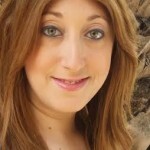 Shana Aaronson was born and raised in Detroit, Michigan and made aliyah to Israel as a teen. She holds a Bachelors of Science in Psychology and training in educational guidance counseling, abuse prevention with at-risk children and youth, and IFS Therapy. Shana’s past work experience includes assistant director of Tzofiah, a residential, therapeutic home for adolescent girls at risk, where she supervised staff, coordinated intakes, and co-facilitated DBT group sessions for clients. She worked as the social services coordinator for Magen Child Protective Services where she supported families whose children had been physically and sexually abused, before joining the JCW team. Outside of JCW, Shana’s advocacy roles include working and volunteering as a kallah teacher for survivors of interpersonal trauma and birth assistant to women with histories of sexual and physical abuse. Mikee Soussan is a mother of two living in the greater Jerusalem area. She grew up in New Jersey and moved to Israel on her own at the age of 16. She served as an officer in the IDF for three years before getting married and moving on to study in Bar Ilan University School of Criminology and Clinical Psychology. As a teen, Mikee began speaking publicly about abuse in the frum community and thus began her career as an advocate. She plans to further her education in the field of trauma research. Mikee joined the JCW team as a victim's services case manager, where she helps connect victims and their loved ones to necessary resources, and through their process of finding justice and healing. Tzviki was born and raised in Kiryat Malachi, Israel. 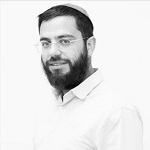 After completing yeshiva in Israel, Tzviki moved to Budapest, Hungary where he studied and received smicha followed by four years as a volunteer in Chabad houses around the world. While working as a dorm counselor in a yeshiva in Brooklyn, Tzviki was first confronted up close with the phenomenon of institutional sexual abuse of students by staff. 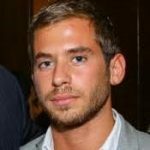 After his marriage, he moved back to Israel where he graduated with his Bachelors of Science in Psychology from the Israeli Open University. During his undergraduate studies, Tzviki served in the military rabbinate in the IDF. At that time Tzviki also co-founded the Israeli advocacy movement “Lo Tishtok”, with the goal of exposing the prevalence of sexual abuse in the Israeli, Charedi community. Tzviki is now studying for his Master’s degree in Clinical Psychology at Bar Ilan University and lives with his wife and their two children in Jerusalem. Racheli Roshgild is a native Jerusalemite and mom of three, and a registered nurse working in Sharei Tzedek hospital. As a child, Racheli was a victim of child sexual abuse. 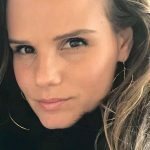 She chose to turn that painful experience into a mission and calling, co-founding advocacy group “Lo Tishtok” which seeks to raise awareness of sexual abuse in the ultra-orthodox Israeli community. Since then, she has offered support and inspiration to hundreds of survivors, and has been actively working to raise awareness and prevent abuse in the community. 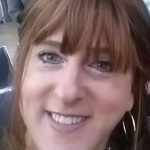 Racheli holds a Bachelor’s degree from Haifa University and is currently completing her Master’s in Gender Studies from Bar Ilan University, and is certified in sexual health counseling. Daphna grew up in West Hempstead, NY before making aliyah as a teen. Daphna worked as an office manager in the non-profit sector for 16 years before joining the JCW team. Daphna lives in Ramat Bet Shemesh with her husband, with her children and grandchildren living nearby.